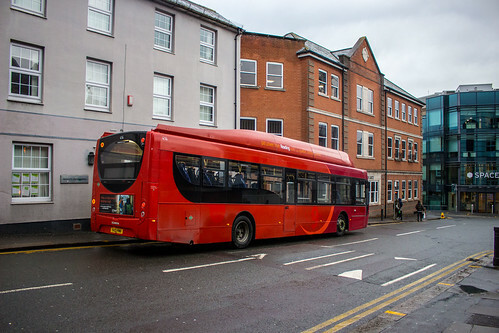 YR13 PMV (Reading Buses' 414) seen operating through Reading town centre. All shots were taken on the last day of March whilst on a day trip to Reading, Windsor, Slough and Langley for the Green Line operations; and in central Reading and Caversham whilst exploring the red 22 service from Reading Buses. To use these photos please contact @MangopearUK on Twitter or Facebook for permission, which will most likely be granted!